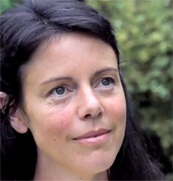 Mandy Dunne shares the moving story of her little baby daughter, Muireann, who was diagnosed in the womb as having a life-limiting disability, Trisomy 13. 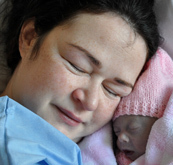 Doctors said she would die before or soon after birth, but little Muireann lived for six weeks and brought great joy to her family during her short life. 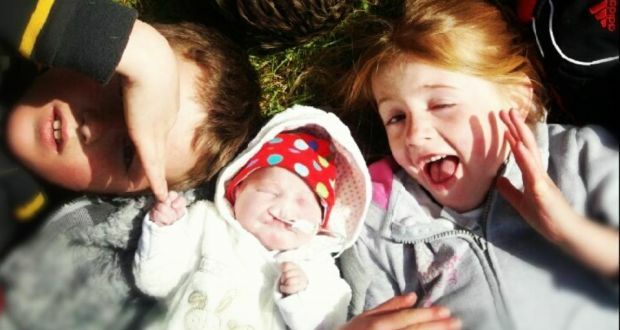 "While I was pregnant, Muireann was diagnosed with Patau syndrome, also known as Trisomy 13, which means she had three of the No 13 chromosome instead of two, a condition doctors refer to as being 'incompatible with life'. Those three words haunted me. My daughter was going to die. As you can imagine that devastated myself and Tom, my husband, and our kids. We continued through the pregnancy praying our little girl would prove everyone wrong. 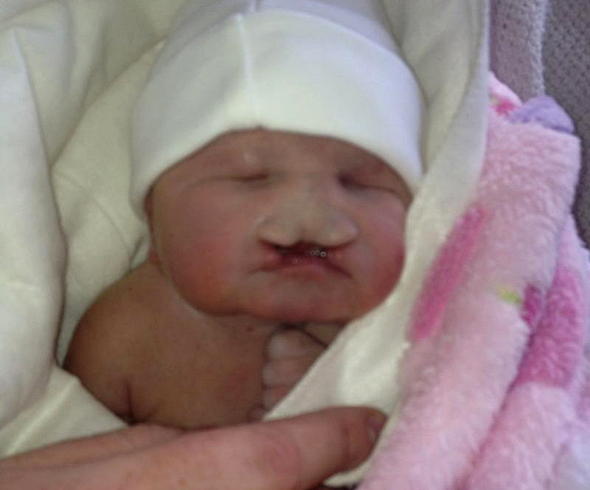 As well as Trisomy 13, Muireann had holoprosencephaly, a condition where the brain doesn't form as it should. She also had a Dandy Walker malformation - a large fluid filled cyst on her brain. 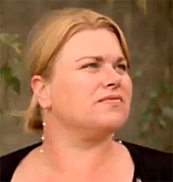 This cyst filled an area of her brain that hadn't formed at all. 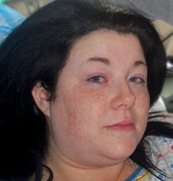 Doctors prepared us for the worst by telling us that the chance of Muireann being stillborn was extremely high, especially given the related conditions as well as the trisomy. 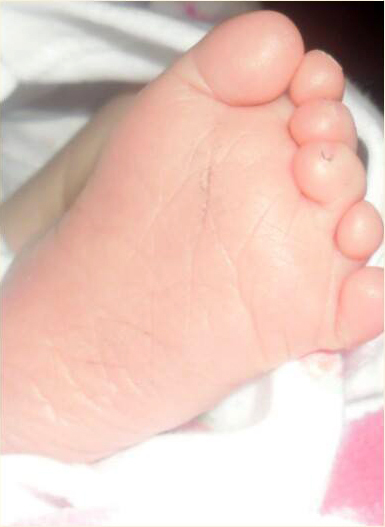 "There is no foot too small that it cannot leave an imprint in this world." 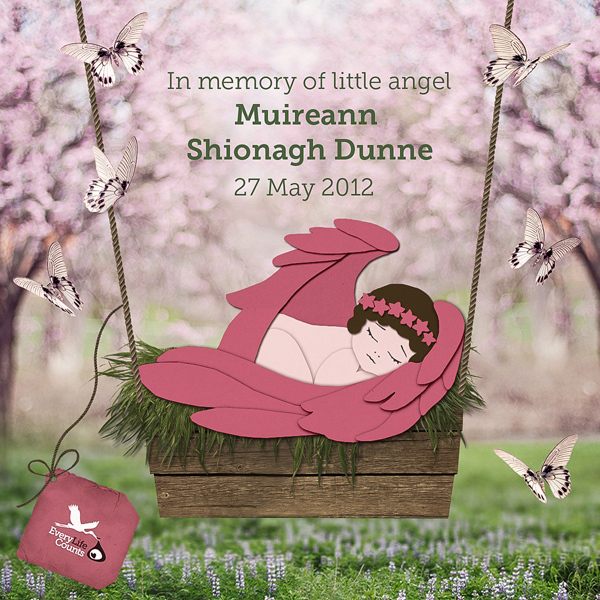 Muireann was born on the 15th of April 2012, weighing 4lbs 10oz. She wasn't breathing, her pulse was faint, and she was expected to leave this earth just minutes after getting here. 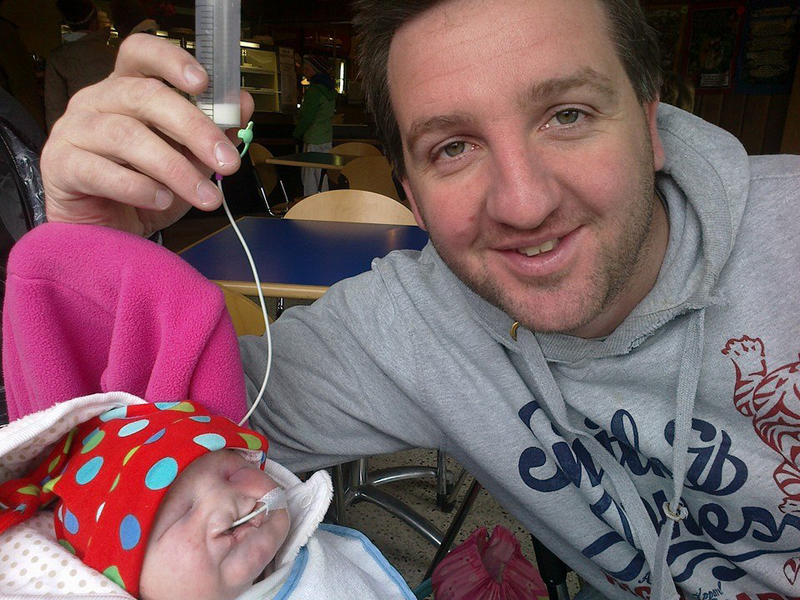 During her first two days of life, Muireann stopped breathing twice in the hospital and we cuddled and tried to revive her in our hospital room by gently blowing air into her little lungs, which slowly led her to start breathing again. When she was born, we said that her two tiny fists were in the fighting position, ready to take on the world. And fight she did, for six whole weeks. ABSOLUTE FAVOURITE photo of myself and Muireann... it was taken by the lovely Deirdre Travers on the day Muireann was born ... I'd waited for what felt like years to have this precious moment with our amazing daughter. 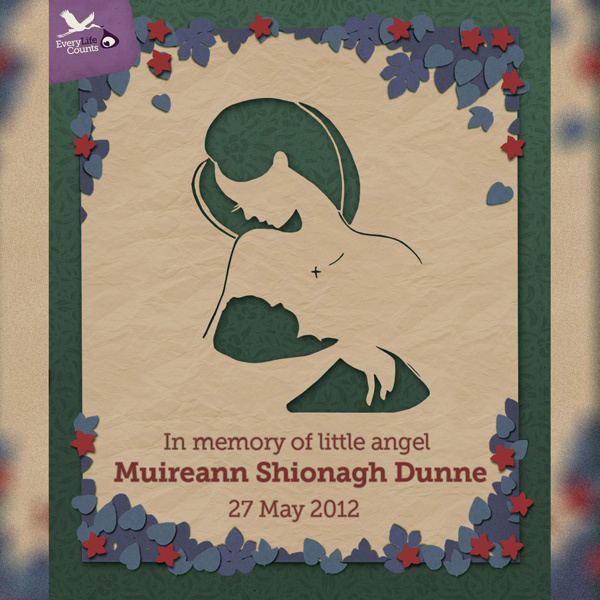 On Tuesday the 17th of April we brought Muireann home. She was two days old. I was so happy because I never imagined that I'd be bringing her home! Those next few days were so crazy because we didn't know what to expect - we were terrified of something happening to her. We were always watching for a change, for a sign that she was failing. But as the days went on Muireann grew stronger, started putting on weight, and we couldn't believe she was doing so well! Days turned into weeks and we enjoyed every minute she was in our lives...going for family days out - these were days I always hoped and wished we'd have with her, but never imagined we'd get! Her brothers and sister were crazy about her... they were always having cuddles! 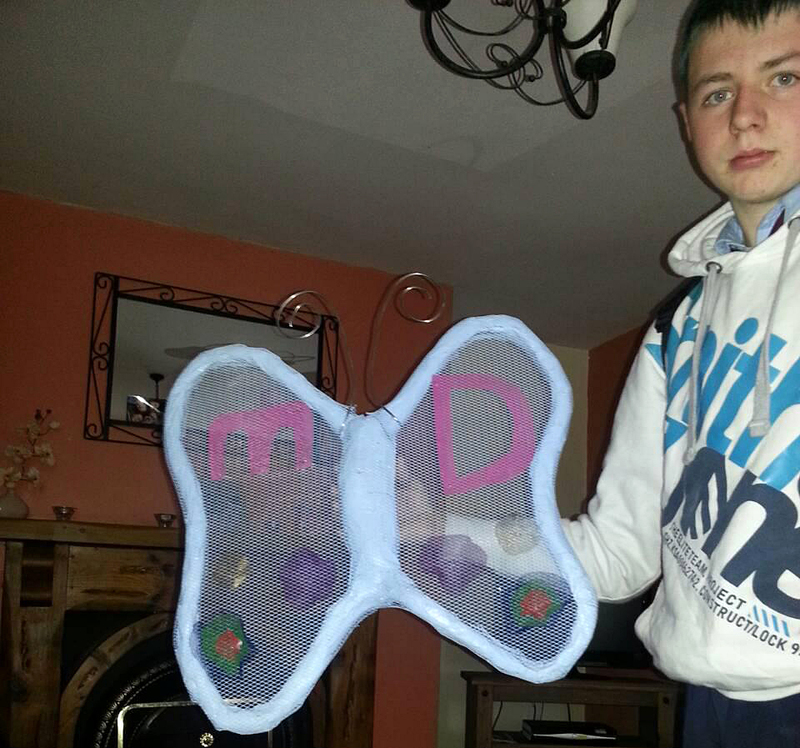 For six amazing weeks Muireann showed us that miracles do happen. Against all odds here she was, alive and doing well! 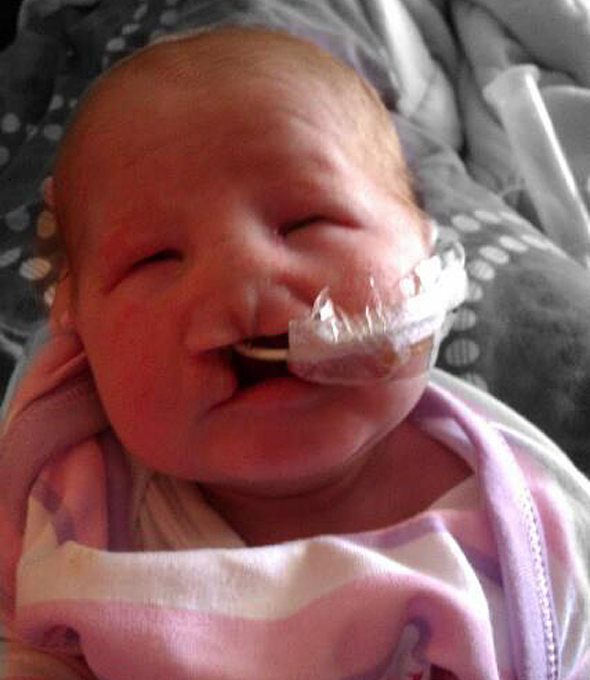 She was even beginning to open her eyes and smile! 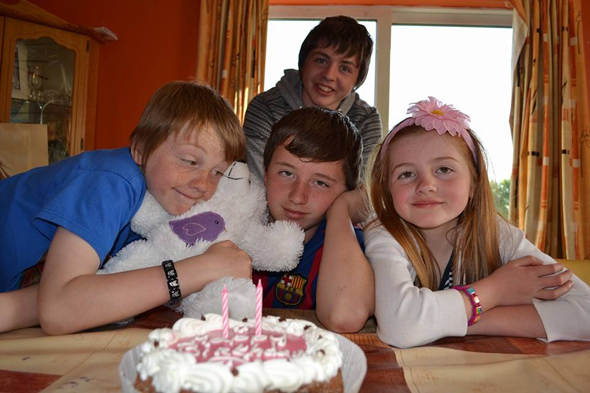 On the 26th of May we took Muireann on her first family break away, another little precious moment in her life! 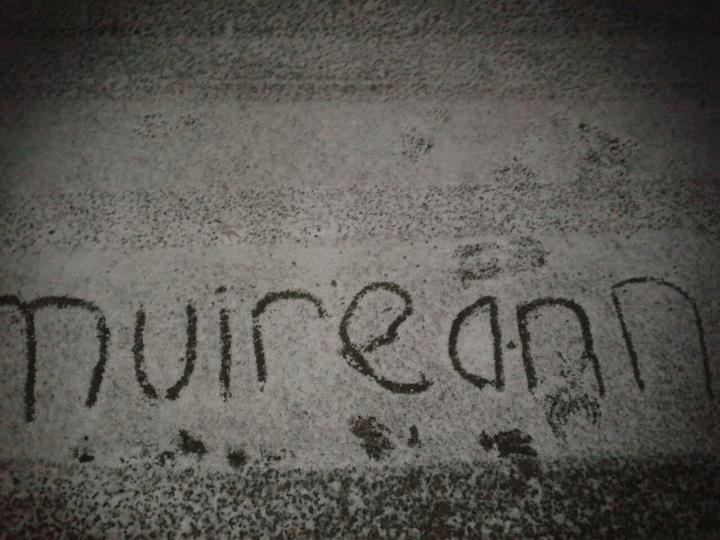 We woke at 3 am and knew that Muireann wasn't doing well. She wasn't herself and wasn't keeping her feed down. We woke the kids and came home, I guess deep down we knew what was coming. 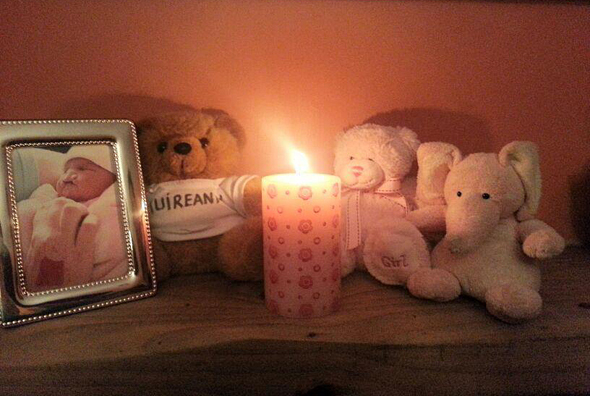 At 6pm on Sunday 27th of May, Muireann passed away in my arms, she was six weeks old that day. That was the worst day of my life. No parent ever expects to lose their child. Our hearts broke that day and our life once again changed. Things would never be the same in our home with our youngest child no longer here. The days that followed were the hardest days of my life. 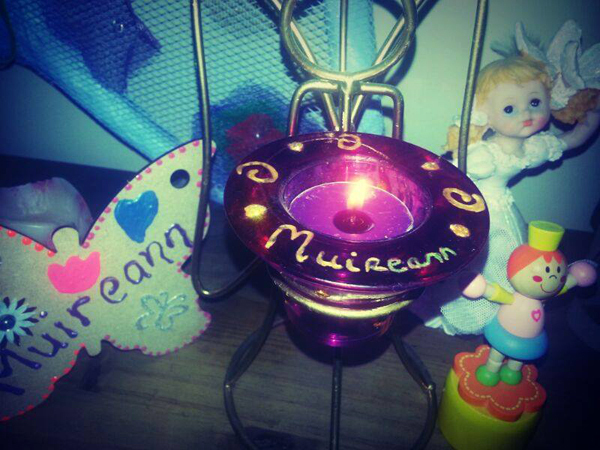 Since Muireann died life has been so hard without her. She left us with many precious and fantastic memories. She made a huge impact in the lives of her family and many others in her short life. As her parents, we are so very proud of all she achieved in her six weeks of life. She showed us there is so much to be grateful for in this world. 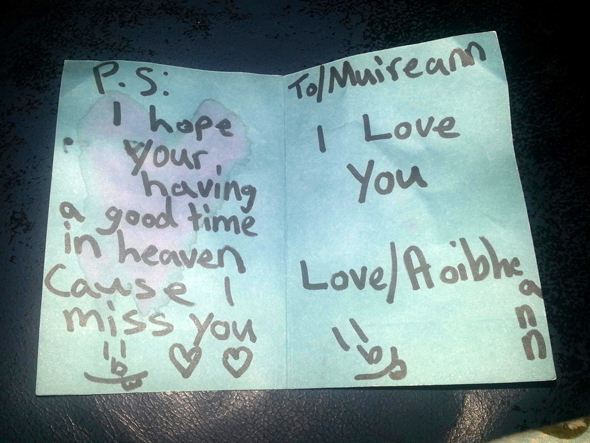 Muireann was an amazing little girl and will always be in our hearts. 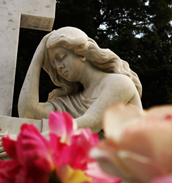 Looking back I remember the day we brought her to her final resting place. It was a warm day, not a cloud in the sky, birds sang and butterflies flew. My family all came to my house, where my sister was being mourned. They said such things as "she was so young" and "she's in a better place now" when I heard people saying this it filled me up with anger. The thoughts going through my head were "yes she was so young, too young, no one deserves to die after only six weeks on this earth, and a better place, surely there was no better place for her than here with her family. I spoke to no one for the whole day, during the funeral I had no tears left to cry and as we lowered her down that hole I turned and saw my dad, the proud strong man that I have known , reduced to nothing but sorrow. But now we are all back to our lives but that day will be in my thoughts forever. 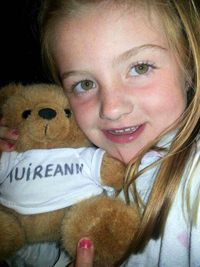 "Muireann was born, two fists in fighting position... ready to take on the world. And fight she did, for six whole weeks."